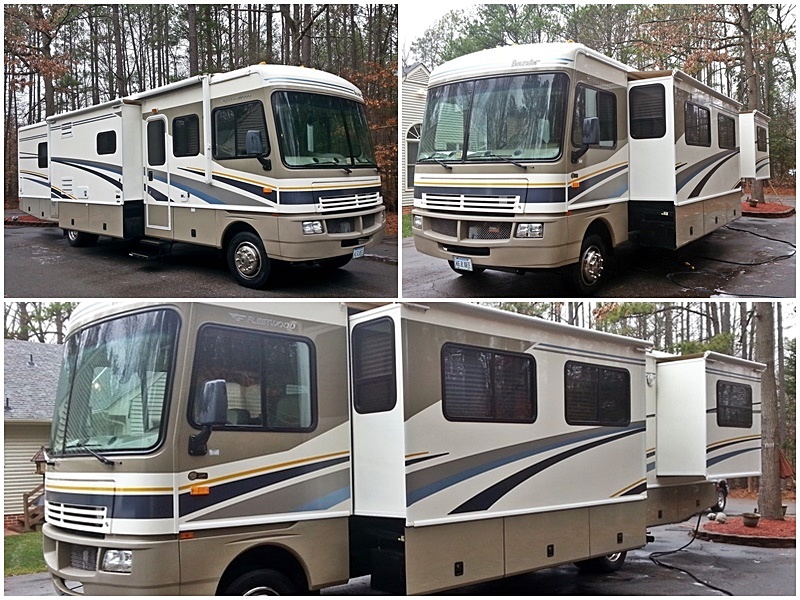 The professionals at Wipe Me Down Mobile Detailing recently detailed this beautiful 34 foot Fleetwood Bounder RV. The exterior received a thorough wash, including the roof. There was mold, a host of black streaks, and the expected dirt and grime was removed in preperation for wax. The Fleetwood Bounder then received a hand wax to help protect it from the elements and increase its overall appearance. This awesome machine only needed a detail to make it look like new again. Have your RV detailed today by the People's Choice for Auto Detailing in Richmond!